While Striving To Keep Individual Patient's Needs Foremost. " 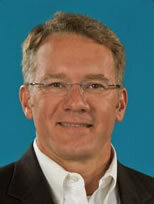 Dr. David A. Edmonds received his degree from the Ohio College of Podiatric Medicine in 1989. He then completed a podiatric medicine residency in East Orange, NJ. Dr. Maryann Hartzell is double board certified by the American Board of Podiatric Surgery and American Board of Wound Management. She is a Fellow of the American College of Foot and Ankle Surgeons and a Certified Wound Specialist. Dr. Megan Balliet completed her residency training in podiatric medicine and reconstructive and rearfoot surgery at St. Luke's University Health Network where she was Chief Resident during her final year. Dr. Balliet enjoys the challenge of treating a wide range of foot and ankle pathologies with both conservative and surgical measures.